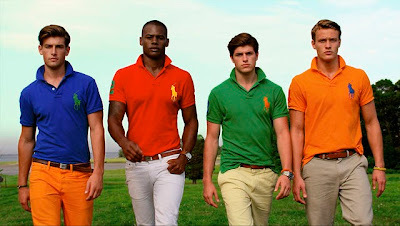 Ralph Lauren has started their final summer clearance and all sale merchandise is an extra 40% off. The additional discount is available in stores and online using the code RLSUM40. The final discount is approximately 70% off. While browsing we found a white wrap blouse from the runway collection that is $300 from $1000, this cable knit cashmere sweater is $209 from $755 and this python fringe hobo bag is $1780 from almost $5000. There is even a good selection of men's polo shirts that are now $35 from $98. Beware, sometimes the boutique markdowns are not as steep as the prices online. It's usually best to track items online while you shop.